Property division can be a complicated, and potentially frustrating matter to resolve during a divorce. As a marriage dissolves the complex issue of division of property can be emotionally charged and difficult to resolve. In these situations, it is important to seek help from an experienced San Antonio property division lawyer. Texas family law is complex when it comes to property division. It also changes quite frequently, so make sure you consult with a reputable San Antonio property division attorney. In Texas, there is no “50/50″ rule. There is nowhere in Texas law that requires that anything be divided 50/50 among spouses. Texas is a Community Property State. It is important to understand the difference between Community Property and Separate Property. If you are a party to a divorce proceeding in Bexar County, Texas, you may have questions on how to protect your rights under the state’s community property laws and how the San Antonio courts may divide property in a San Antonio divorce. You may have acquired significant wealth through gift or inheritance or you may have brought substantial assets into the marriage. You want to make sure that your ex-spouse does not unfairly take property that is rightfully yours. You need an experienced and aggressive San Antonio property division attorney to protect your rights. How a San Antonio Property Division Lawyer can help you. Our divorce lawyer can help you recognize the difference between marital and separate property and obligations. Hacker Law Firm can take your case to court to resolve characterization issues whenever necessary. If you want to establish an equitable division of assets, our attorney will listen to your objectives in order to fully understand what is important to you. Questions about marital asset distribution? Ask an expert for help. Hacker Law Firm is committed to helping you properly identify, characterize and valuate all of your property to ensure that your property settlement is fair. Typically, there are two overriding issues in every property distribution matter during a divorce. First, property must be classified as either marital or non-marital property. Only marital property is subject to division. In Texas all property owned by a married couple is presumed to be Community Property. Community Property will be divided by the Court in a “just and right manner”. That does not mean 50/50, although that ratio is usually the starting point for consideration. In fact, some or all of a married person’s property may not be Community Property. Instead some portion or all of a spouse’s property might be that spouse’s Separate Property. But the spouse claiming Separate Property has the burden of proof to show that the property claimed as Separate Property is, in fact, Separate Property. That burden of proof is high, the “clear and convincing evidence” standard. This is not as high as the “beyond a reasonable doubt” standard in criminal law, but it is higher than a mere preponderance (or more than 50%) of the evidence. Co-mingling of funds can occur which complicates disentangling Separate Property from Community Property. When co-mingling is present Community and Separate Property are often mixed together in the same account. This can occurs in joint bank accounts and the like. Disentangling these funds can be very complex. Separate Property is most commonly property that you owned before you got married. In order to keep it, you typically must “trace” the property back to your pre-marriage days. One of the most important things a San Antonio Property Division attorney/lawyer can do for you in the property division portion of your divorce case is to make sure that ALL of your Separate Property is categorized that way by the Court. Some kinds of separate property, such as real estate, are relatively easy to prove as Separate Property. Other types, such as funds in a joint bank account can be much harder. Over the years Texas has developed a large body of law addressing these issues. Recently there have been changes to the statutory law regarding how to calculate the value of certain retirement and insurance accounts. There are other ways to establish Separate Property, and very complex rules for valuing certain items such as retirement accounts, business interests, and more. Consult with the Hacker Law Firm to find out where you stand. Temporary Orders can be one of the most heavily litigated parts of a divorce or family law matter. They typically are sought from the Court (or by agreement with Court approval) at the beginning of a case, when emotions are highest and uncertainty is greatest. Because Temporary Orders tend to become permanent, it is important that they are properly negotiated or litigated and prepared. If the parties are unable to come to agreement, a contested Temporary Orders hearing may be necessary. Such Temporary Orders hearings can occur as quickly as 4 days after a divorce is filed. More typically they take place a few weeks after filing. A contested Temporary Orders hearing can last anywhere from a few minutes to several days. Most are one day or less. Contested Temporary Orders hearings are like mini-trials. Many of the same rules of evidence and procedure apply, but there is less preparation. Surprises can be common in Temporary Orders hearings. It is important that you retain an attorney as soon as possible in order to give the attorney as much time as possible to prepare for a contested Temporary Orders hearing. Because the Petitioner often sets the date of the Temporary Orders hearing, being the party who files the divorce, i.e., the Petitioner, can be an advantage. Kelley Blue Book. Indispensable tool for calculating vehicle values. Yahoo Finance. Find current and historical stock values. 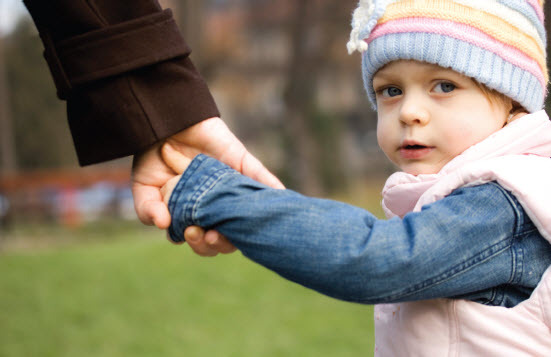 In Texas, the primary consideration of the court in determining custody matters is the best interests of the child. At Hacker Law Firm, our San Antonio Family Law Attorney is a parent and he understand how important your children are to you. Hacker Law Firm is ready to aggressively represent you in child custody matters.